It’s not a secret that beauty companies want to bring high-tech solutions to your face. From $200 treatments to moisturizers and sunscreens— can you really tell what is working versus a placebo? Whether you think skincare is a scam or essential self-care, chances are you want to make sure whatever you’re doing is actually working. Now brands are using tech and looking for ways to give customers more feedback and offer products that are more personalized and easier to ditch if they’re not actually working. At the 2019 Consumer Electronics Show (CES), Japanese skincare brand SK-II introduced the "beauty store of the future." 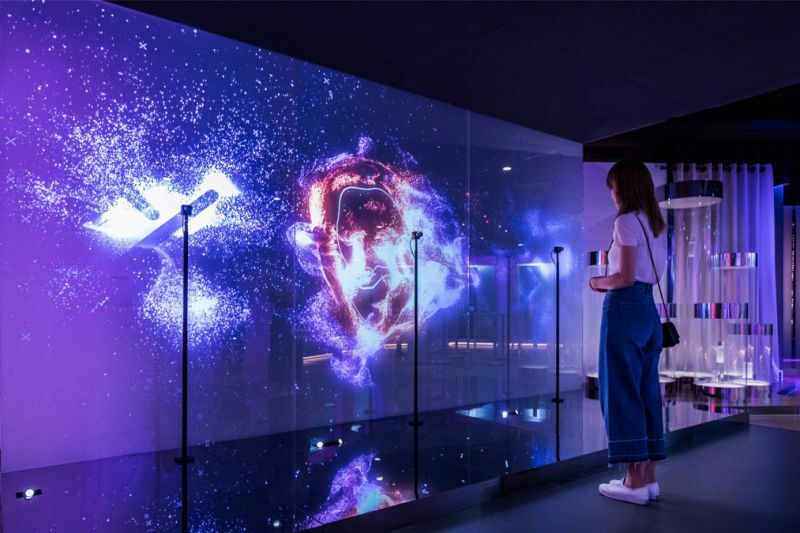 The concept of a seamless “phygital” retail environment where visitors can explore immersive, personalized mixed media experiences that merge the physical and digital to learn about their skin in a way never possible before. Think of it as a unique skincare experience for each visitor, harnessing emerging technologies. Powered by the latest and greatest tech that include state-of-the-art facial recognition, computer vision, Artificial Intelligence (A.I.) technology augmented by SK-II’s proprietary Skin Science and Diagnostics innovation. You can also look forward to a unique skin analysis experience with a reinvention of SK-II’s iconic Magic Ring skin analysis. Unlike typical skin scans which require direct facial contact, visitors can get their skin analyzed comfortably and remotely while sitting in individual booths. An interactive skincare wall unlocks your skin analysis results with a mere read of their face. Visitors can also enjoy a personalized product browsing experience via a responsive digital interface at the Smart Beauty Bar and learn how they can achieve crystal clear skin. If visitors wish to purchase products, they can head to a unique projection mapping table that tracks their hand motions and allows them to add products real time into their digital shopping cart with a simple hand wave. Looking back to 2016, to find beauty tech at the Consumer Electronics Show, I had to look hard and trek to different areas to find one or two devices. At CES 2019, things had changed quite a bit.